Join us in raising funds and awareness for United Hatzalah of Israel. We are doing this In Memory Of Ezra Schwartz, H'Y'D' . 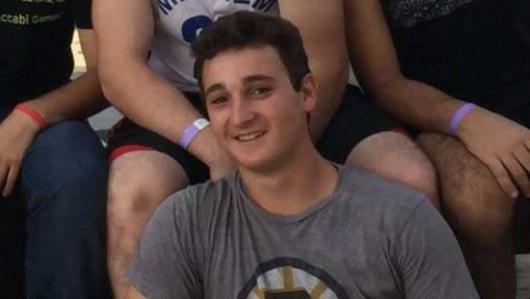 On November 19, 2015 Ezra Schwartz of Sharon, Massachusetts was brutally murdered in a "Palestinian" terror attack. Many of you only know of Ezra Schwartz as the sports-loving kid who was honored by a moment of silence at the New England Patriots football game. But did you know this about Ezra? 5 years ago, I had the privilege to speak with some very special bar mitzvah boys at a dedication ceremony in Sharon, Massachusetts. Together they had donated an ambucycle to United Hatzalah. One of the boys who made that dedication ceremony possible was Ezra Schwartz. It hit me like a ton of bricks when I realized that the amazing young yeshiva student who was killed here last week in a terror attack in Gush Etzion, was Ezra from Sharon, and that his name had been riding on a United Hatzalah ambucycle here in Israel since 2010. Our volunteer medics responded to the attack but it was out of our hands. My heart goes out to the Schwartz family. I have no words to express the loss I feel over Ezra’s being taken in this way. All I can do is echo the words of Lynn, one of the mothers of the Bar Mitzvah boys of 5 years ago, “It gives us such great comfort to know that Ezra's name and neshama is riding through the streets of Yerushalayim saving lives”. 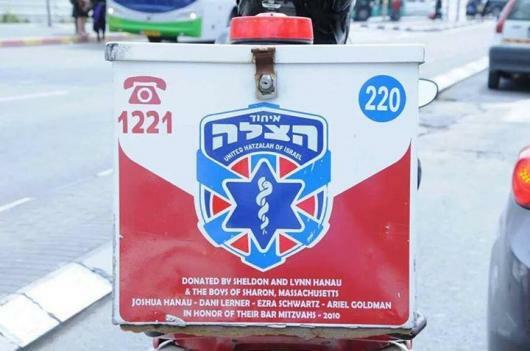 A couple of years ago, the volunteer who rides this ambucycle, was the first to respond to the 4 year old daughter of Yonatan Razel, who fell off a roof, straight on her head and helped save her life. Ezras ambucycle was the reason that he was able to get there so quickly. May Ezra’s memory be a blessing. THIS is the real tribute to Ezra Schwartz, H'Y'D! THIS is the person that the terrorist animals stole from this world! 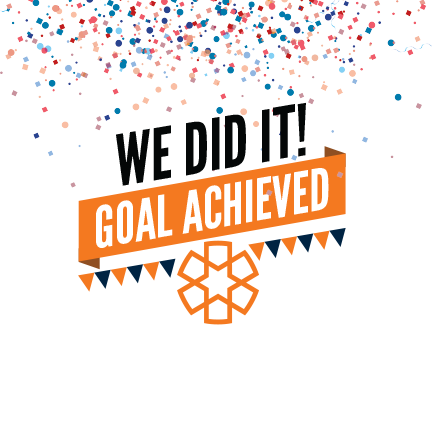 For this reason we ask that those who wish to do something in Ezra's memory please donate to Hatzalah of Israel towards the purchase of an ambucycle as he did with his Bar Mitzvah money. Please join us in raising funds for this piece of lifesaving medical equipment in Ezra's memory. Any amount you give brings us closer to our goal and will help save more lives in Israel, the Land that Ezra loved. ×‘"×” This is just the sort of memorial I was looking to donate to. I know Ezra's grandparents and his mother and aunts. I think this is a fitting memorial. ×‘"×” I know Ezra's grandparents. I think this is a fitting memorial. Wonderful project in memory of Ezra Schwartz HY"D! Thank you Shmuel for arranging this mitzvah! In honor of "The Boy", Yehuda Lauer's Birthday! Kol Hakavod Shmuel. Folks, lets make this happen!